Can any Houston Oppos help store an MG? 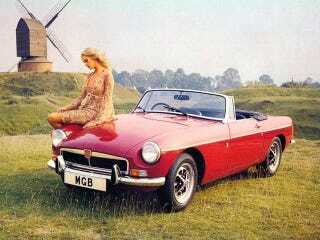 My good friend and fellow Oppo-head Matt lives in New York but has decided to buy a classic MGB in rust-free Texas. We found a great car for sale in Houston but will not be able to fly down and retrieve it until mid-May! Any chance any Houston Oppos have a backyard, carport, driveway, or garage they’d rent out to us to store it between now and then?